A deadly listeriosis outbreak had killed four people in Australia this year after they consumed rockmelons contaminated with the listeria bacteria. 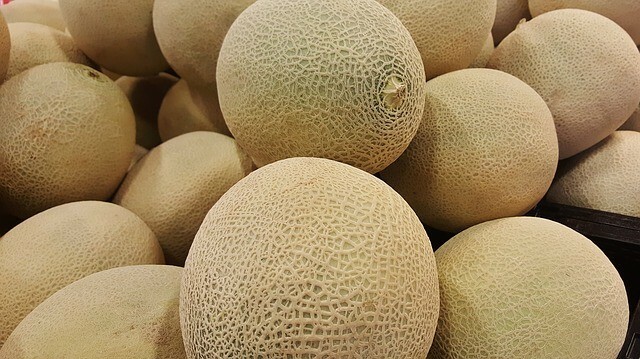 Australia's rockmelon listeria outbreak had recently killed four people in the country. Now, the Singapore Health Ministry confirmed Monday that two patients in Singapore have been infected with the same bacterial strain. In a statement, the ministry said its National Public Health Laboratory has conducted a genetic sequence analysis on bacteria strains from the five patients in Singapore who had listeria disease this year. It was found that listeria strain ST240, which infected two people, had "a similar gene sequence" to the strain found in one Australian patient, reported Channel News Asia. Among these two patients, one recovered and the other died for reasons not related to listeria infection. The deadly outbreak in Australia happened in February-March 2018 after listeriosis bacteria contaminated rockmelons hit the market. The source was later traced back to a farm in New South Wales (NSW) s tate. Australia had exported the supposedly contaminated melons to at least nine other countries, including Singapore, according to The Straits Times. It was also reported that Singapore's Agri-Food and Veterinary Authority had recalled and destroyed the affected consignments in March. Listeriosis kills around 26 people every year, according to Centers for Disease Control and Prevention. The bacterium Listeria monocytogenes, which is spread by eating contaminated food, is more likely to affect pregnant women and their newborns, elderly people and people with weak immune systems. Listeriosis can have a variety of symptoms ranging from fever, muscle aches, nausea or diarrhea to headache, stiff neck, confusion, loss of balance and convulsions, as stated by webmd.com. If any of these symptoms persist, it advised to seek medical assistance immediately. Listeriosis is also a serious emerging food-borne disease in India. According to a s tudy published in Research & Reviews: Journal of Ecology and Environmental Sciences, in India, the quality of dairy products, meat and fishery products are heavily compromised, especially during the hot summer months, and they are at a higher risk of getting contaminated with the pathogens. Recently, even South Africa was hit by this bacterial disease. At least 180 people died from the infection and the source was traced back to processed meats.